The businesses of today can’t afford to ignore social media when it comes to marketing. But analyzing everything from the popularity of posts on your Facebook business profile to the number of tweets is a chore and a waste of time. Enter Buffer. The social media management tool lets you manage all of your social media activity in one place. Like most platforms, Buffer offers a freemium account. But if you really want to make the most of it, go for the paid variety. 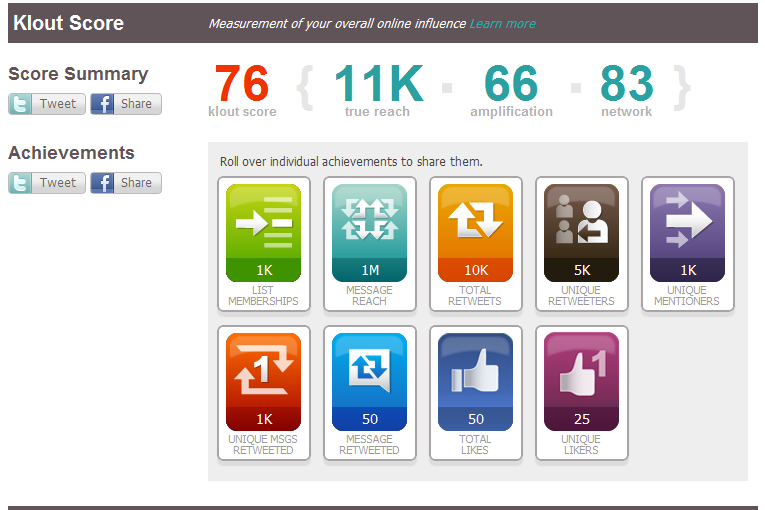 Klout is another social media analytics and management platform that can be useful for marketers. In addition to sharing relevant content, you can also use this tool to see how many people liked your shares. The tool suggests content that your audience might like and enhance your marketing efforts. Klout works especially well for entrepreneurs looking to engage audiences and attract new ones to their brands with interesting content. Tracking your progress is also easy with the app. The tool gives you a ‘Klout Score’ which you can use to judge your online influence. Your Klout Score is a number between 1 and 100 that scores your ability to drive actions online. The more popular your posts are, the higher your Klout Score. 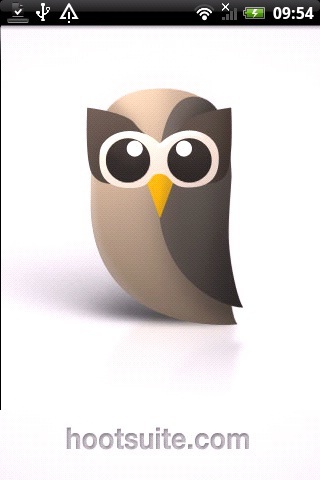 Hootsuite is particularly popular with marketers. Like Buffer, it also offers a freemium version where you can try out some of its services. However, if you want to respond to visitors that comment on your posts, then Hootsuite is a better choice of the two. Moreover, the app also lets you access the HootSuite App Directory. The Directory has more than 50 extensions for you to choose from, all of which can be added to your dashboard and help you customize your experience even more. As mentioned, the tool offers a free version, but if you really want to make the most of the Hootsuite, it's better to go with the priced variety. 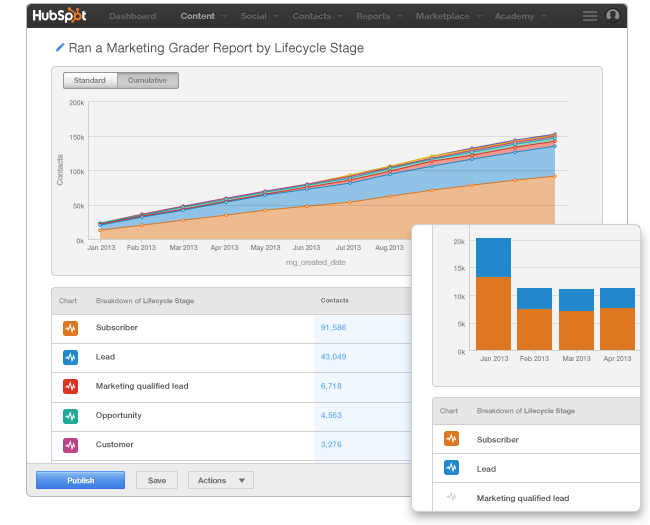 HubSpot is a tool that offers marketers all they need to analyze marketing campaigns and improve them with the help of a single platform. It offers you everything from analytics and CRM to social media management, blogging, call to action testing and even landing page creation. The platform is particularly popular with businesspersons who own small to medium sized businesses. Part of the reason is that offers marketers an integrated platform and a complete set of tools that allow them to get more sales leads online. And with the app version, you can manage all of your HubSpot stacks on the go right on your phone. 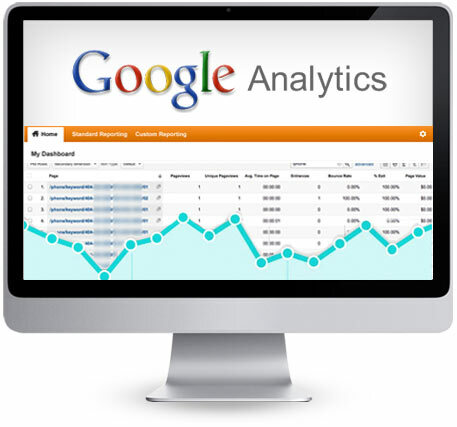 Every online marketer has either heard about or used Google Analytics. It's not surprising why. The analytics tool offers what most advanced analytics platforms offer, but for free. The tool basically allows marketers to see how their sites and apps are performing, all in one place. You can use the data collected to gain a comprehensive analysis of your target audience ad share them with your team. Google makes the list yet again and this time with Google AdSense. This tool is great for marketers who use AdMob and AdSense to monitor how their ads and mobile marketing efforts are progressing. With the mobile version, you can see key data from your accounts on both of these analytics platforms on your phone. 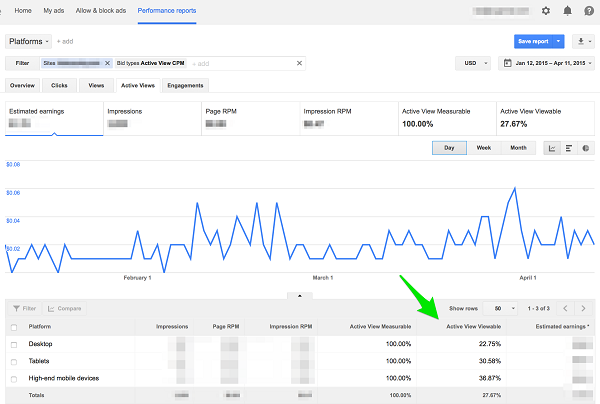 In itself, Google Adsense is a great platform for publishers who prefer a more in depth control of their inventories and have the expertise as well as resources to manage optimizations. In other words, it is well suited for people looking for more advanced features without having to deal with too many technicalities for an optimized experience. The app is useful in the sense that it allows users to monitor their progress without having to log into their AdSense accounts on a computer or laptop. Salesforce is a CRM (Customer Relationship Management) tool that uses cloud computing to power enterprise software. It is considered as a leading software of its type and it analytics cloud app is also one of the platform’s perks for users. 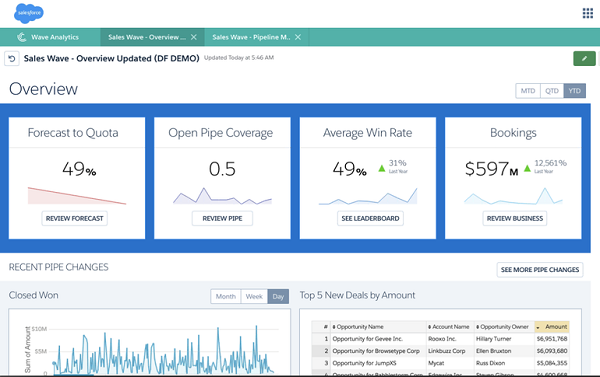 The Salesforce website defines the Salesforce Wave Analytics app as a tool that “turns data into smarter sales.” The application is integrated with Sales Cloud and makes it easy for you to get the data you need right on the dashboard. The Wave Analytics software itself was optimized for tablet, phone and even watch. If you have a sales team that is on the field most of the time and needs sales data on the go, then this app should be a keeper. With it, different members of your team can monitor, analyze and process data in real time without having to be present in the office or have access to a computer. Imagine the benefits. Instant gratification is the buzzword in the online word and customers appreciate quick responses. And this app can help you do it. The app provides marketers with valuable actionable insights that can help you improve your campaigns. Zoho is a suite of online SaaS applications and online productivity tools. Its social media management app Zoho Social is what stands out for marketers aiming to improve their online presence. In addition to managing multiple social media accounts, schedule posts and monitor keywords. The application enables multiple users to collaborate on a single platform as well. It seems like there is an app for everything these days. And businesses are not far behind in app development either. Thankfully, there are also analytics platforms that help business owners monitor how their apps are doing in the market. 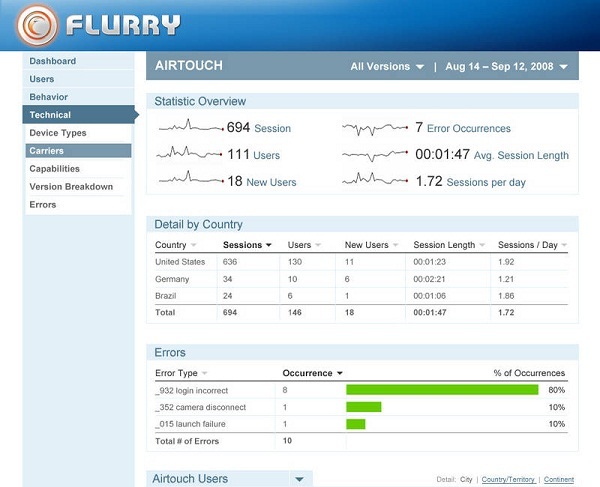 Flurry, a mobile app analytics platform from Yahoo’s mobile development suite, is one of them. Analytics platforms give marketers a bird’s eye view of their marketing efforts, gain actionable insights regarding customer and visitor response. And their app versions make it easier for users to do all this without being refined to desktops or workspaces. Clark Davidson is a Marketing executive in a digital agency. He is leading a team of 10 individuals in our company. He likes to write and share articles related to his job and experience. He took much information from Cygnis Media and some other digital channels to write this article.